You don't have to spend hours online trying to find the lowest prices for airfare and accommodation. 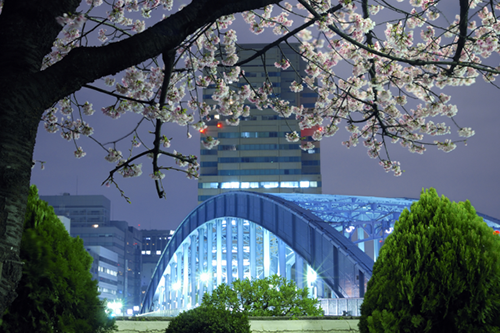 Use Webjet to make sure you get the best value for your money by finding the perfect holiday package combo for your trip to Tokyo. Hassle-free Experience: Let us arrange your flights, hotel and activities with just a few clicks. Save Time: Instead of spending hours on Google, our travel experts will do all the research to plan your travel itinerary. World-class Service on a budget: The travel industry is competitive, and you'll be able to take advantage of that by picking up deals to top resorts and hotels for less. No hidden costs: Your final payment will be made before you leave on your trip. So you don't need to worry about forking out more money after you arrive. Tokyo's Ginza district is just as iconic as Times Square in New York. It's been a commercial hub for decades and is full of shops selling everything from the latest gadgets to high-end clothes. Don't forget to visit Ginza in the evening when the giant advertising panels light up the night and bathe the buildings in bright neon colours. Opened to the public in 1938, Tokyo's National Museum houses from than 100,000 pieces of art and 100 national treasures. Some of it's most famous collections include Japanese paintings from the 7th century and 6th-century Buddhist sculptures from China. The museum's exterior is also worth exploring. It boasts a traditional Japanese garden and a 17th-century Tein Teahouse. If you want a birds-eye view of Japan's capital city, head on over to Tokyo Skytree. At 634 meters tall, it's the world's tallest freestanding building. At the top, you'll find three observation decks with one that includes a glass spiral walkway and floors. Sensoji Temple is Tokyo's oldest shrine. Built in AD 645 it's dedicated to Kannon, the Buddhist goddess of compassion. While the original structure has been rebuilt over the years, it's still an impressive sight with a 3.3-meter high red paper lantern, and an Incense Vat believed to drive away ailments. The beautiful 17th-century palace is one of Tokyo's top attractions. Surrounded by manicured gardens and moats, the building is still used by Japan's Imperial family, and only a few areas are accessible to the public. But if you plan your trip around the January 2nd or April 29th, you'll be able to explore the main Palace Gardens and may even catch a glimpse of the Emperor. You don't need to tip. Restaurants, bars and taxis will have a built-in service charge, meaning you can keep your coins for more bowls on spicy ramen. Keep a plastic bag on hand. In Tokyo, bins are scarce, and you'll have trouble finding a place to throw away your rubbish. Instead of littering, keep your trash with you in a bag until you come across one. Stick to the left. In Japan, people follow the unspoken rule of walking to the left on footpaths and elevators. Remember to bow when greeting somebody. It's a sign of respect to bow lower if the person is an elder or someone of authority. If it's your friends or someone of similar social standing, a quick high bow will do. It's rude to eat quietly. Don't be afraid to slurp your noodles in public. It shows that you are enjoying your meal and sends a message to the chef they have done a good job.